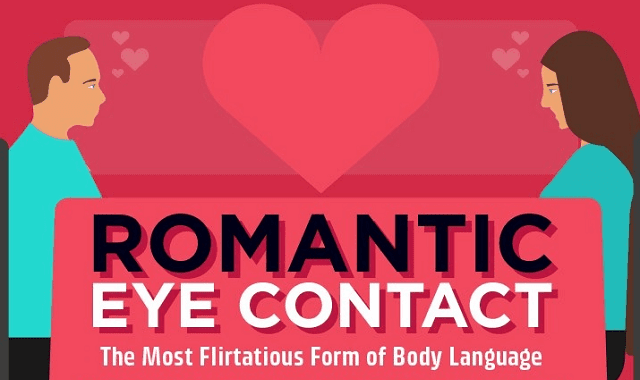 Romantic Eye Contact – The Most Flirtatious Form of Body Language #Infographic ~ Visualistan '+g+"
When it comes to love, there are few parts of the body more important than the eyes. Yes, a shapely form or rippling biceps count for something but when Cupid means business, he works through the eyes. Nothing gets the heart racing quite like an intimate view of the windows to the soul.